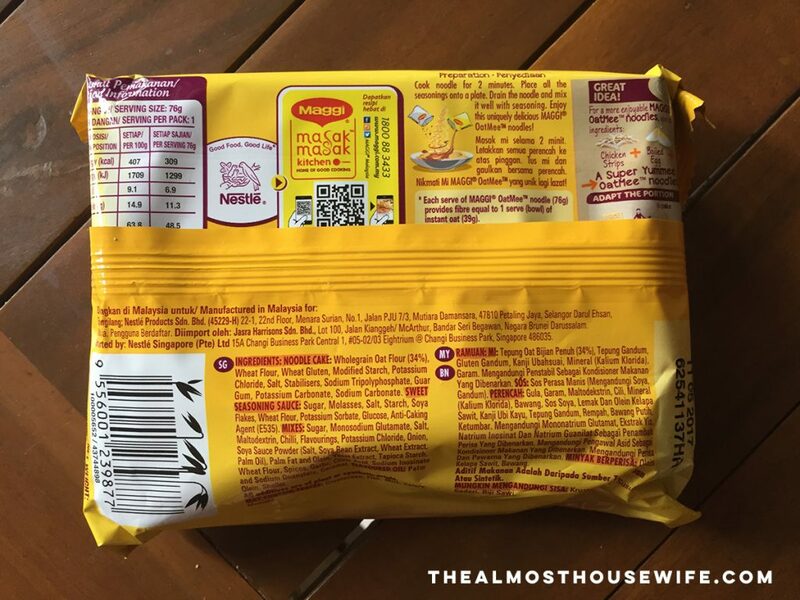 Lazada sent a package full of products for me to review and one of them was this- Maggi OatMee Mi Goreng Curry flavour. I’m not a regular consumer of instant noodles in general. But the idea of having something that is good for your body when eating instant noodles kind of gives the person some sort of peace of mind. Who would know that this combination would ever exist. They say instant noodles are bad for you, but this one has oats in it sooo is that a good thing? Haha whatever, I’ve tested this out and it’s actually not that bad. 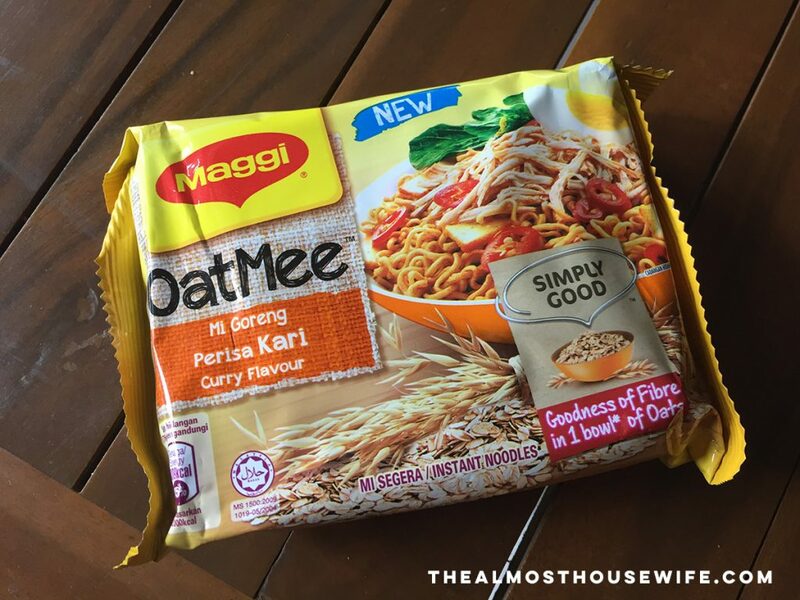 It’s a little bit pricey than the normal Maggi, about RM6 per pack. It’s a ‘healthier’ version so it does make sense right? 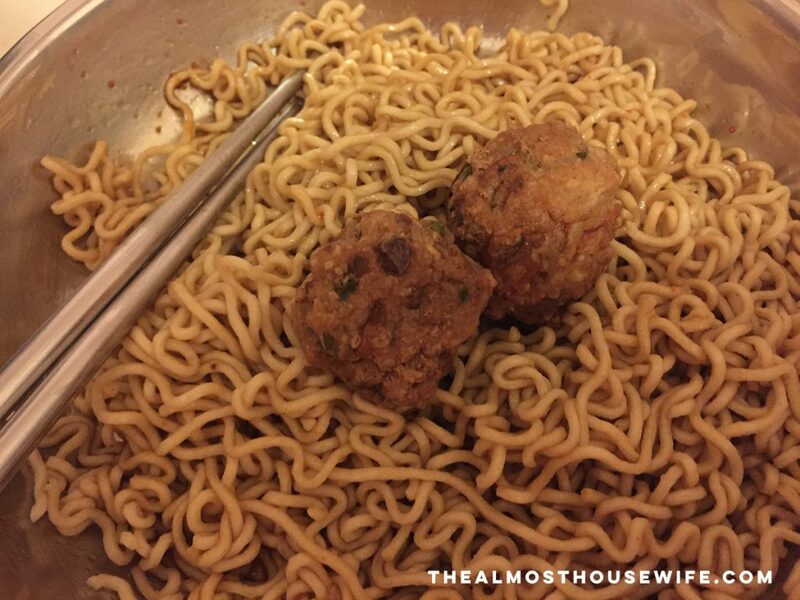 The noodles itself looked brownish, probably cos of the added oats (or is it?) 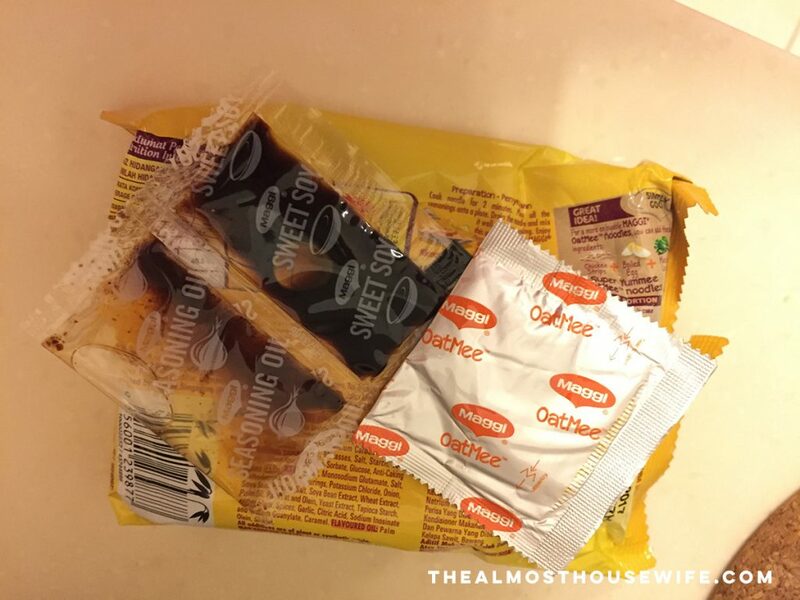 It comes with seasoning oil, sweet soy and curry-flavoured powder. Soaked the noodles in hot water for a few minutes. Took them out and added the seasonings. I’ve had leftover beef balls from the night before so I just added them in. Bath time with my daughter is always fun. I’m happy that she enjoys bathing and playing with her rubber ducky, splashing water all over the place while maintaining that cheeky face. 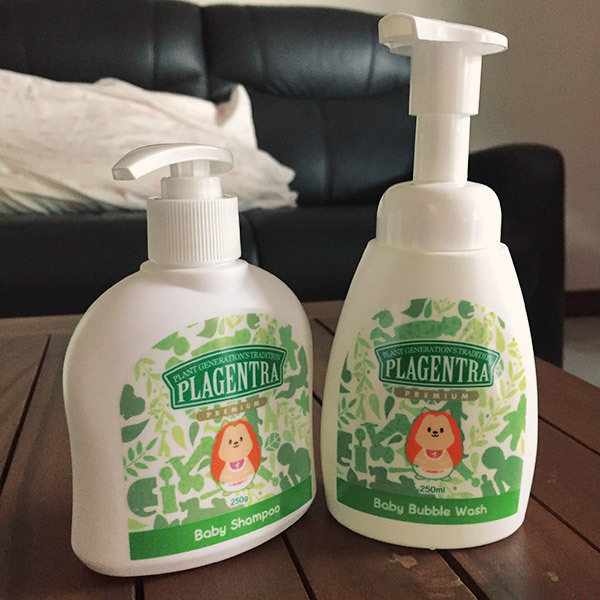 I’ve been a regular user of Buds Infant Head to Toe Cleanser but of recent, I’ve learned to explore other brands. 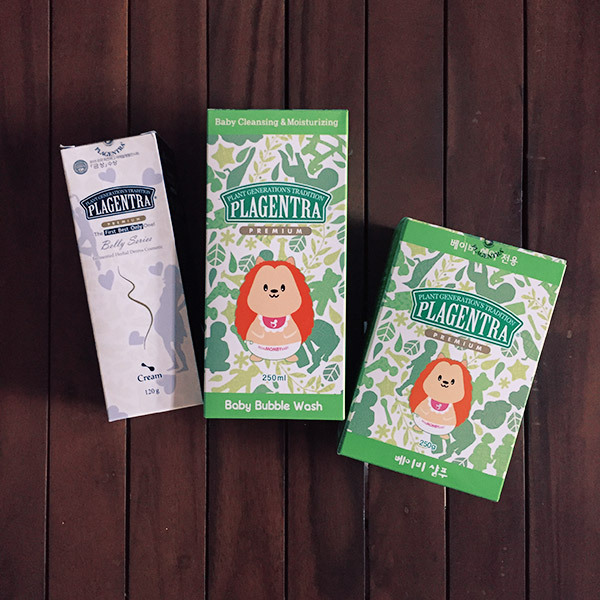 I’ve been so privileged to be chosen to test out products from a Korean brand called Plagentra. This is an honest review and no payment were involved. If there’s one thing that’s worth mentioning about these products is that the scent is pleasant and not overpowering. I like the after use smell of the shampoo because it is not too strong and it has a nice baby scent to it (no strawberry, blueberry, apple gimmick). I also like the bottle shape of press-to-pump out- no hassle of squeezing the bottle, dropping it, etc unlike other brands. At first I didn’t know how to unlock the bottle pump for the Baby Bubble Wash but it was easy to figure it out. I like the foam that comes out instead of just liquid soap. I also like the scent of the bubble wash as it is not too strong like the shampoo. Easy to lather all over my baby’s body as well. What I like about the belly cream was that it is unscented. 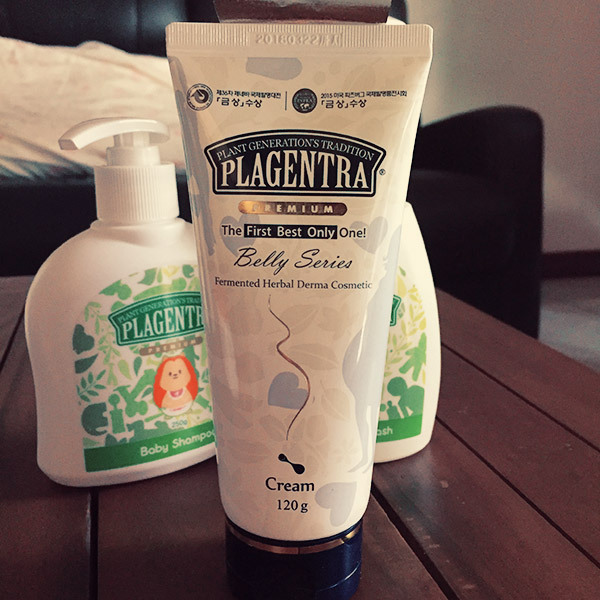 When I apply it on my skin, it immediately feels soft and smooth. It’s also not oily and suitable for other parts of the body like the feet and arms. The only thing that turned me off was that most of the text on the box were in Korean. If I were to purchase them off the shelf, I’d spend some time reading the label and the ingredients on the box. Benefits were not highlighted so I didn’t know what it’s good for, what’s lacking and how to use it. Overall, the products itself are good, just that the labeling isn’t so efficient. Do try it if you see it in the market.